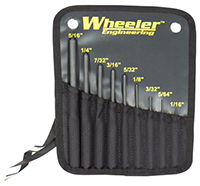 The Wheeler Engineering® Roll Pin Punches are machined from hardened steel to prevent bending or breaking while driving any size roll pin. 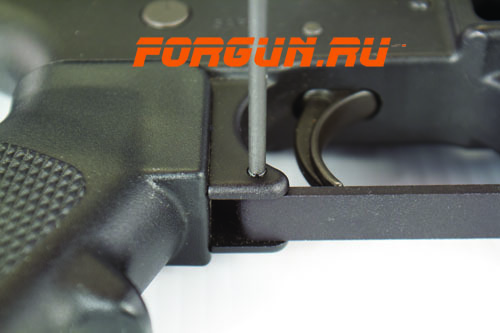 The punches are designed with a hemispherical tip to provide proper alignment of the roll pin to prevent damage to the firearm and the roll pin. 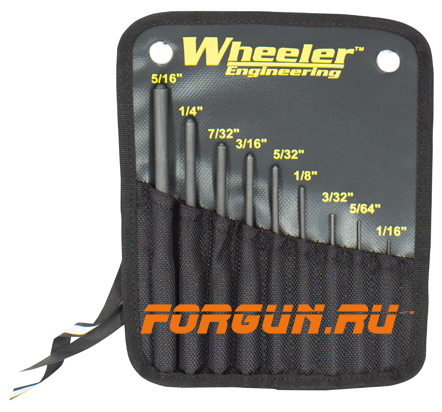 The 9 piece set includes: 5/16″, 1/4″, 7/32″, 3/16″, 5/32″, 1/8″, 3/32″, 5/64″, 1/16″ punches in a nylon pouch.